On 6 February 2018, Legs Walking 2001 by Armitage was installed in City Square, Leeds, through the sterling support of John Thorp MBE, former Leeds City Architect. 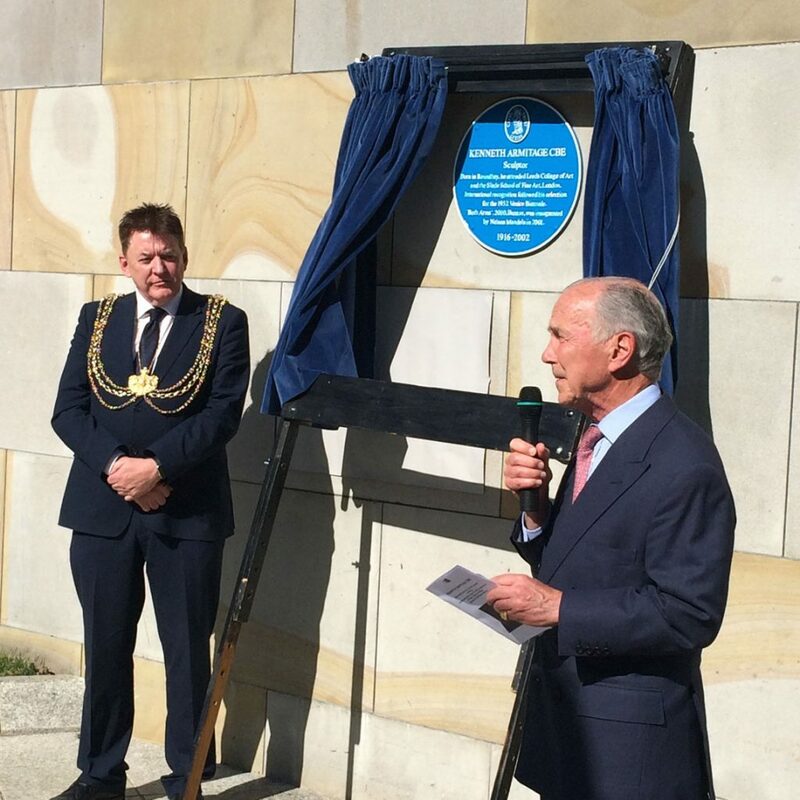 This was a grand finale to two years of exhibitions, publications and a Blue Plaque (sponsored by the Leeds Civic Trust), all marking the life, work and legacy of this celebrated ‘son of Leeds’. Armitage’s story is one of early acclaim, to being passed over by later generations, only to emerge after a long and productive career with unabashed confidence and recognition. 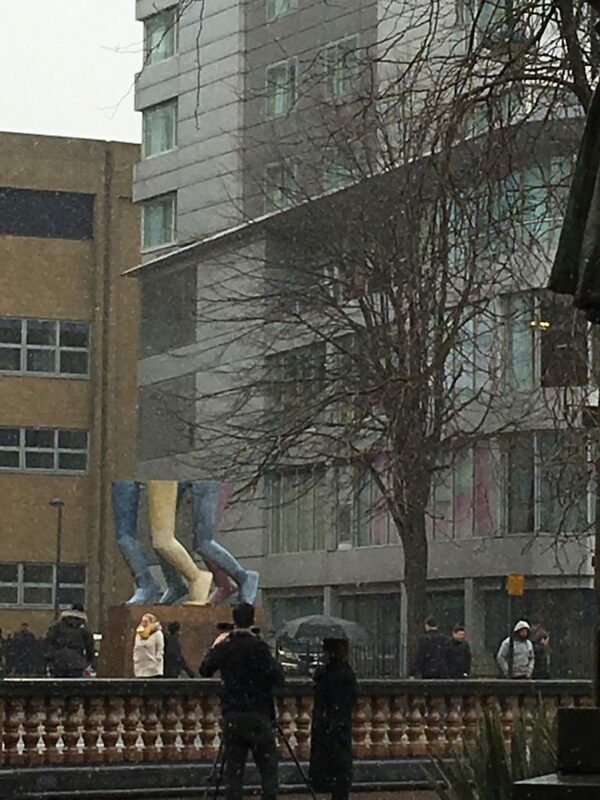 Legs Walking, on loan to the City for five years, joins the magisterial Both Arms 2000 which was acquired by Leeds City Council for its new Millennium Square opened by Nelson Mandela in May 2001. 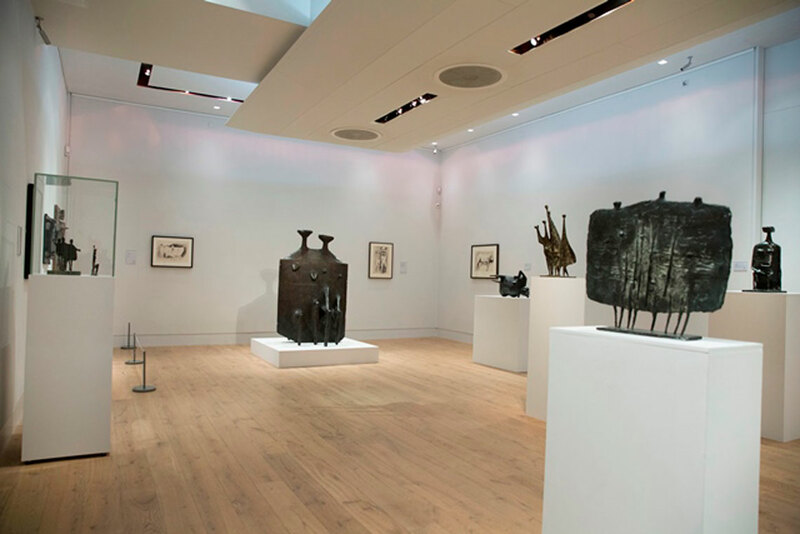 Three Centenary exhibitions, in Bath, Leeds and London, and six publications have given the opportunity to reappraise Kenneth Armitage as one of the major British sculptors of the 20th century. 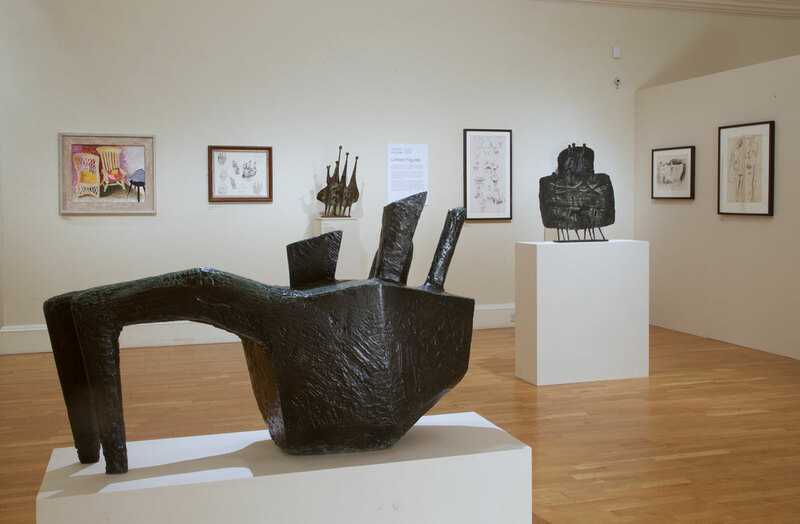 Victoria Art Gallery, Bath – Kenneth Armitage Sculptor, a Centenary Celebration, 10 September – 27 November 2016 With a fully illustrated book published by Sansom and Co including essays by Ann Elliott, Jonathan Bennington, Sarah Brown, Jon Wood and Tamsyn Woollcombe covering Armitage’s life, work and legacy. Lund Humphries also published The Sculpture of Kenneth Armitage by James Scott assisted by Claudia Millburn, with a foreword by Antony Gormley and introduction by Michael Bird, in the autumn of 2016. The Stanley and Audrey Burton Gallery, University of Leeds – Kenneth Armitage: Sculpture and Drawings of the 1950s, 15 March – 15 July 2017, with some works made during his time as Gregory Fellow in Sculpture at the university in 1953-1955 included a published essay by Dr Joan Crawford, Director of Student Education and Associate Professor of Art History in the School of Fine Art, History of Art and Cultural Studies at the University. The Tetley, (opened in Leeds in 2013 in the former Tetleys Brewery) – Refinding: Jessie Flood-Paddock with Kenneth Armitage, 6 May – 30 July 2017, an exhibition that highlighted Armitage’s legacy for contemporary artists. 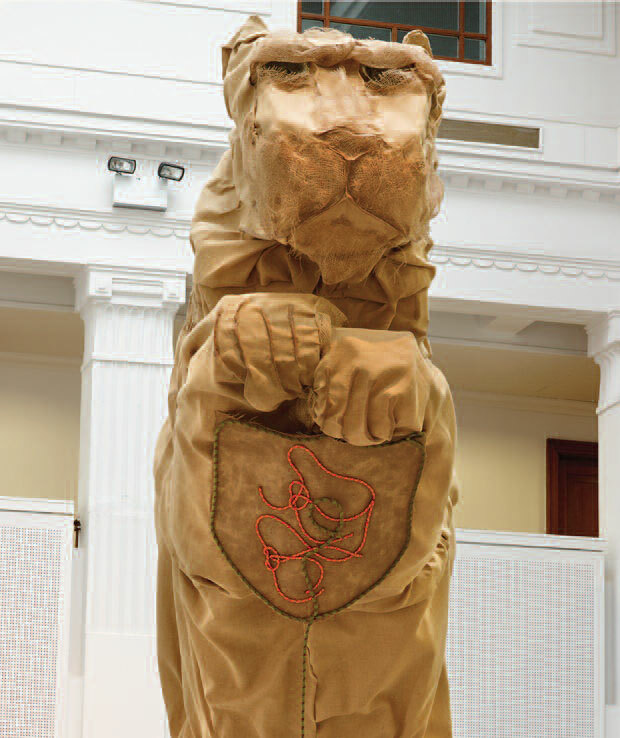 Flood-Paddock’s work, some of which was made during her Armitage Fellowship 2013-1915, included her specially commissioned sculpture, Lion Vasa 2017. Sculpture, drawings and prints by Armitage featured his lesser-known series of work based on the oak trees in Richmond Park, including the monumental Richmond Oak 1987, originally commissioned by the Government Art Collection and installed at the British Embassy in Brasilia. A fully illustrated book on the exhibition, the Tetley’s first publication, included photographs of the installation by Michael Pollard, an essay The Richmond Oaks by John McEwen and a story, Eight Chapters on the Vasa Lion by Tom Morton also published separately by the Tetley. The venues’ public programmes included workshops and exhibition tours for families, young people, schools and colleges, students, disabled artists and those with hearing loss. Bath and Leeds had 50,205 visitors and participants for special events for the exhibitions; Canary Wharf: over 120,000 who work in One Canada Square and pass through the Lobby every day, alongside thousands of visitors for both work and leisure. 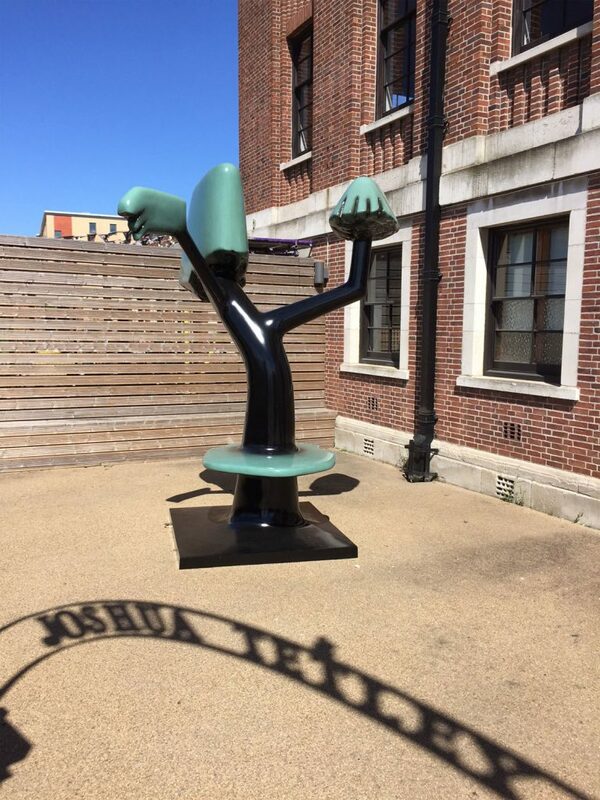 The Kenneth Armitage Foundation warmly thanks all venues and their teams for their collaboration and support; with special thanks to the Henry Moore Foundation and The Elephant Trust for financial support. The Kenneth Armitage Foundation is a charitable legacy of the sculptor Kenneth Armitage (1916-2002), one of the first young post-war British sculptors to receive international acclaim. 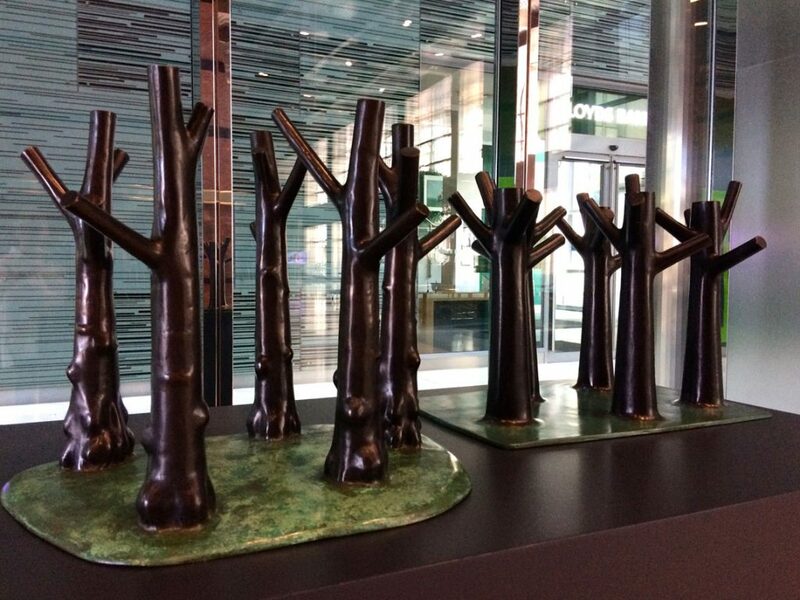 The Foundation supports sculptural tradition by awarding financial assistance to artists of all ages. Fellowship Programme The Kenneth Armitage Foundation awards a two-year residency to a selected sculptor, during which the sculptor is able to live, work and exhibit at Armitage’s former West London studio residence. In accordance with Armitage’s wishes and the Foundation’s mission statement, the goal is to support an artist of particular merit and provide her/him the opportunity to produce and show a substantial body of work. Kenneth Armitage Young Sculptor Prize The prize is awarded annually to a student(s) of the art colleges with which Kenneth Armitage had particular association: Leeds College of Art and the Slade School of Fine Art, where he was a student; Bath Spa University (formerly the Bath Academy of Art, Corsham), where he taught; and the Royal College of Art, where Armitage was a visiting lecturer and tutor.